It's the alcohol free section. The Welsh in supposed to read as "di-alcohol", which means non-alcoholic. 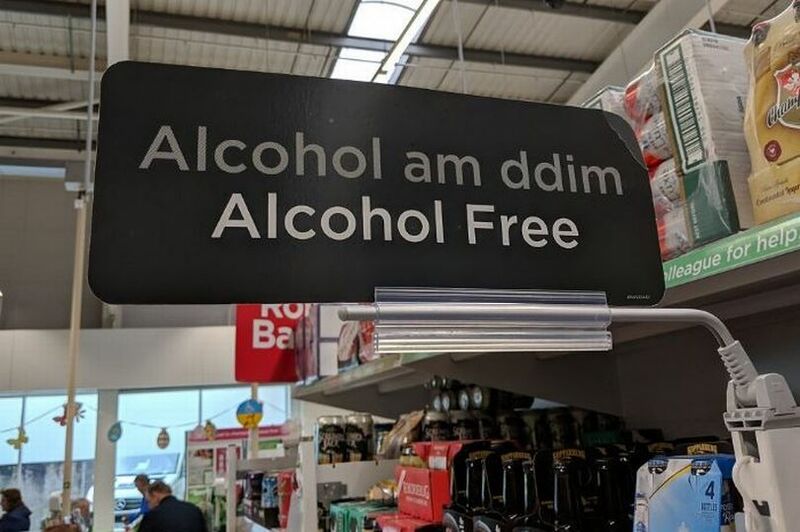 However, they used "alcohol am ddim", which means free alcohol in Welsh. However, as the number of people who can read Welsh but no English is absolutely tiny, they probably got away with it.